Aeon co., Ltd. Cox (Head Office: 1-2-1 Nihonbashi Hama-Cho, Japan Chuo-ku, Tokyo, Representative Director and President: yoshitake, hidenori) openings ikka LOUNGE Yodobashi Akiba store in Akihabara terminal station in Tokyo 3/12/2016 (Saturday), passes five routes JR3 lines and private railways, such as one of the best. 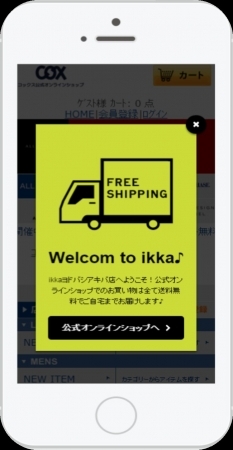 “ikka LOUNGE” to Tokyo’s 23 wards stores. urban suburban Mall development promotes starting of 12/2013 Aeon Makuhari New City to the opening “ikka LOUNGE” is. Until fiscal year 2014 to open 8 stores in fiscal 2015 4 stores, and stores are expanding steadily. ikka LOUNGE Yodobashi Akiba store is OPEN to “Yodobashi Akiba” 7th floor 3/12 (Saturday), be renewed on the same day. [Yodobashi Akiba”is the station directly connected to autumn bottom multimedia Yodobashi Akiba and entering the professional shop floor and golf driving range, commercial complex. We are so far we expand to Kichijoji, Kyoto, Umeda, Hakata Yodobashi camera specialty store floor “ikka” business. This “ikka LOUNGE” style will be opened for the first time. This other, 3/10 (Thursday) “Colton Plaza (Ichikawa-Shi, Chiba)’, 3/18 (Friday) Aeon Mall Kobe northward and then OPEN each, will be expanded to 15 stores. Office scene-conscious assortment of period exclusive POP-UP store too! Planned special POP-UP is displayed, etc. captures business needs both men’s and ladies ‘ gadgets indispensable travel accessories designed to suggest active commuting style from the characteristics of the ikka LOUNGE Yodobashi Akiba store holds the companies Office District of Akihabara, “NEW OFFICE CASUAL” incorporating functionality and easily the “styles”, travel, business, desk, leather goods and in related products will be available. Also OPEN the period exclusive pop-up store as an experimental LOUNGE WEB STORE provide a store. 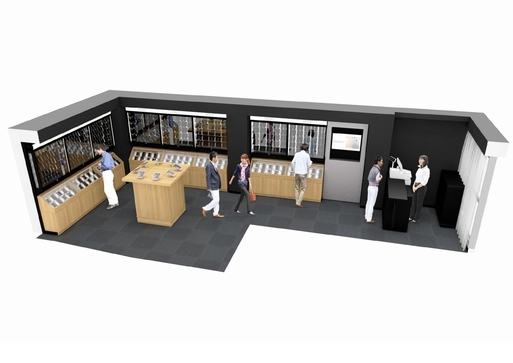 Establishes the Tablet connected with the official online shop and purchase over-the-counter products on the spot. As a special shop, customers for your WEB STORE delivers the products shipping free of charge to customers. Other NFC tagging POP can be induced to read product info, Free Wi-Fi service and EC site, such as the introduced. Note place = Omni channel shopping experience a seamless goes beyond the boundaries of the real Internet, please give the shop. “ikka LOUNGE” is enriching fashion accessories such as ladies ‘ and men’s business casual on-time style, original, select the adult premium life store. Ready for a new life in Akihabara let! “SPRING 2016 Akihabara Electric town festival” held!